With a career spanning two decades, Madeline Stone is a successful songwriter who has become equally adept at writing songs in many, different genres. Although she is perhaps best known for writing top Inspirational hits in the Christian field, she has also had prominent hits and cuts with pop, country and R&B artists. Stone is currently enjoying success on several fronts. She co-wrote three songs on country star Billy Gilman’s next album, including the upcoming single “Gonna Find Love.” She also had three cuts on Gilman’s previous album, including the title track & hit single, “Everything And More.” Another recent single Stone had was “You Are Loved,” with CeCe Winans. She also co-wrote the hit single & title track “Unspoken,” for Christian star Jaci Velasquez. “Unspoken” also appears on the top-selling “WOW Hits” compilation album. In addition, Stone also has a song “Souls Along The Way,” in the hit movie Oceans Twelve, plus cuts on the upcoming albums by Steve Holy (“What Could I Do Different Tonight”) and Chinese star Jane Zhang (“Lucky”). In a recent interview, Stone talked about the various stages of her career, from growing up and writing songs in New York, to moving to Nashville and building a solid reputation as an Inspirational and country writer. Now primarily living in Manhattan, she continues to write for all genres, and she is also writing songs for a Broadway musical she is developing. 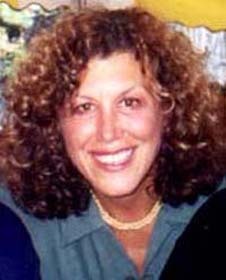 Stone was born in Brooklyn and grew up on Long Island, where she began playing piano at an early age. In high school, she joined the choir, and she sang and acted in school plays and musicals. For college, she graduated from Syracuse University with a degree in music education, and then she got her masters degree in music therapy, at Goddard College in Vermont. However, it wasn’t until after attending college that she started to focus on her songwriting. David then suggested that Stone take a trip to Nashville, to meet with publishers and songwriters there. He set up many meetings for Stone, which led to her securing a one-year, publishing deal with Tree Music (which is now Sony/ATV/Tree). Following her signing with Tree, she decided to move from New York and establish her writing career in Nashville. Stone started landing a number of country cuts, including a single with Louise Mandrell, plus cuts with Suzy Bogguss, Sylvia, Gary Morris, Shelby Lynne and Lorrie Morgan. She also co-wrote a major R&B hit, ‘Read My Lips’ for Melba Moore. Following two years at Tree, Stone signed a co-publishing deal with Warner-Chappell Music in Nashville. She stayed with Warner-Chappell for two years, then signed on with Zomba Music for two more years. It was in 1990 that Stone enjoyed major pop success, when she had cuts on two of the biggest-selling albums of that year. Her song ‘Next To You’ was on Wilson Phillips’ breakthrough album (which sold 12 million units), and ‘Kick Start My Heart’ was on Canadian artist Alannah Myles’ debut album (five million units sold). It was a notable achievement for Stone, to achieve this pop success, while simultaneously placing her country songs with artists in Nashville. Stone’s initial hits with CeCe Winans caught the attention of many other Christian artists, who now wanted to write songs with her, for their own album projects. ‘It wasn’t something I planned, but the opportunities to work with Christian artists just multiplied,’ said Stone. 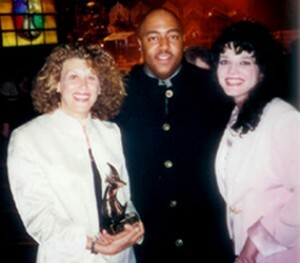 ‘I was now working with such top artists as Avalon, Kathy Troccoli, Anointed, and Natalie Grant.’ In 1996, Stone won the Dove Award for Urban Song Of The Year, for co-writing ‘It’s It God’s Hands Now’ for vocal group, Anointed. This song became a R&B hit single for the group. During the past few years, Stone has continued to write, and place her songs, with a wide range of artists. Such diverse artists as Neil Diamond, Roberta Flack, Ray Charles, John Williams, No Secrets and Joey Lawrence have recorded her songs. Stone is pleased to have several, excellent songwriting collaborators, whom she works with regularly: Toby Gad, CeCe Winans, Sam Lorber, Allen Shamblin, and Chucky Thompson. In the past year, Stone moved back to New York City, although she still regularly travels to Nashville for songwriting collaborations and music-related business.